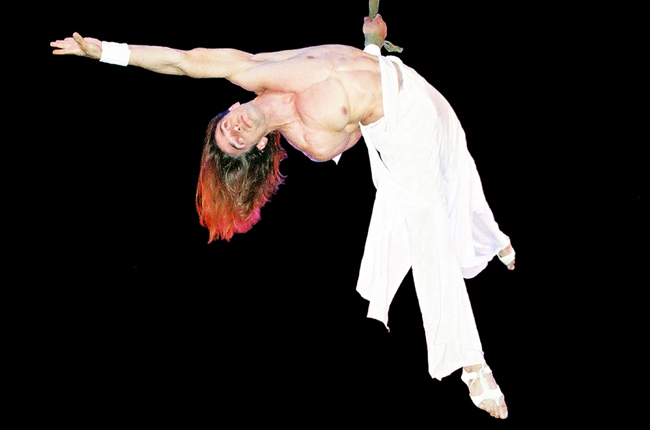 Straps, also known as aerial straps, are a type of aerial apparatus on which various feats of strength and flexibility may be performed. It is an apparatus that looks like two suspended ribbons. Straps are available in various configurations, including those with various types of loops at the ends and those without loops. 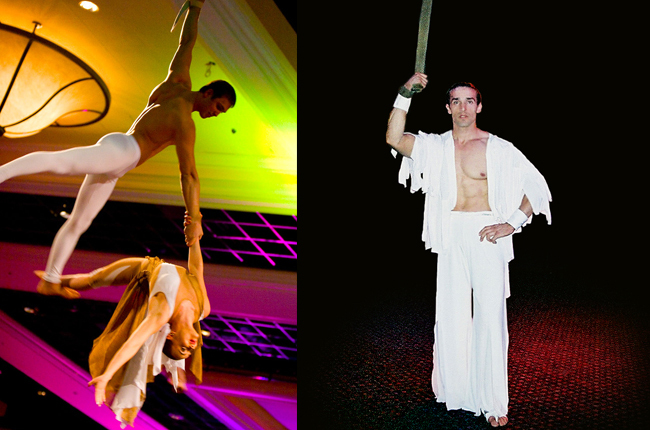 A straps act usually includes held poses and postures done on the straps, dance moves performed on the floor away from the straps, partner acrobatics done on and off the straps, as well as having the straps pulled up and down during the act which lets the performer fly high above and around the audience.